Want to pay monthly? Check out using PayPal Credit! The X1800 Prime brings dedicated Sweep and BPM FX controls, delivering multi-themed effects for each channel, giving you even more performance options to craft that unique sound. Why not add another dimension to how you utilize EQ in the DJ booth? Fire up the X1800’s choice of Classic or Isolation styles, then ramp up the sonic creativity with frequency-controlled, band-Isolation too. LAN network connects Denon DJ’s SC5000 media players using the ‘Engine Connect’ protocol to align your tempo-based FX with even more accuracy and on-the-fly performance expression. "Extremely happy with this purchase. I've previously been running a djm-450 and two NI D2s but was limited to just two decks. Now with the Denon X1800, I have access to all four traktor decks. The level of control on the mixer is amazing. It does take some time to get used to the dynamic compared to pioneer but I dont feel like I'm "missing" anything. In fact, I think I get more than I would from a nexus mixer. " 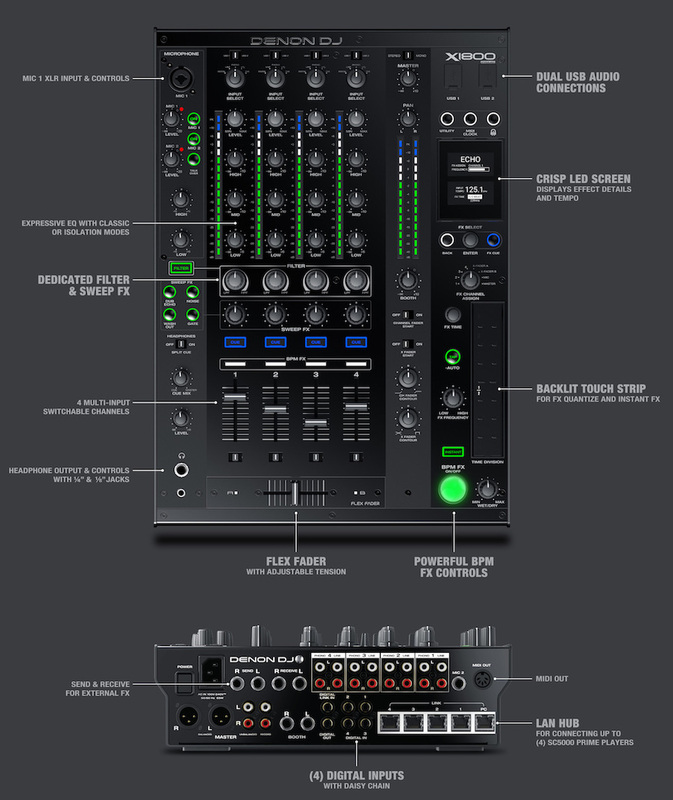 "I have been loving this mixer so far. It's my first foray into standalone dj gear, and of something of a professional grade, everything seems relatively easy to understand (givin a little bit of playing around with it). I am happy with my purchase"